I bought this book a while ago to add to my Harry Potter collection, but hadn’t worked into my reading schedule until now. Most of you Potterheads have heard of the book or own it yourself, but for those of you who are newly introduced to the wizarding world, this book is a collection of short children’s stories that was introduced to readers and audiences in Harry Potter and the Deathly Hallows. The Wizard and the Hopping Pot: a story about a wizard who selfishly denies helping others until his father’s old pot changes his ways. The Fountain of Fair Fortune: a story about three young witches who journeyed with a knight to reach a magic fountain. The Warlock’s Hairy Heart: a cautionary tale of a warlock who uses dark magic to keep his heart cold and locked away forever. Babbitty Rabbitty and Her Cackling Stump: a tale of a man who tries to con the king into thinking he has magical talent, only both are bested by a cackling laundry mistress. 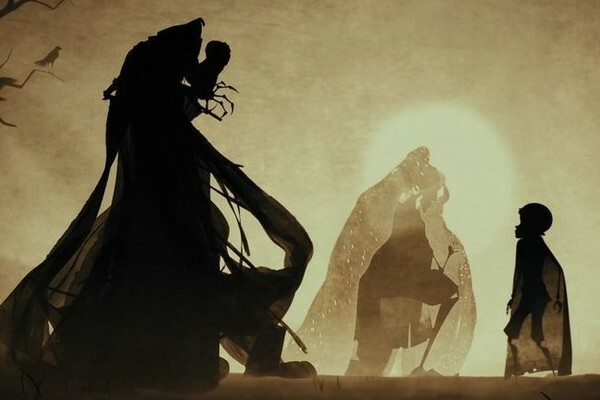 The Tale of the Three Brothers: the most famous tale of Beedle’s, thanks to the final Harry Potter book. It is the story of how three brothers bested death with three magical items- the elder wand, the resurrection stone, and the invisibility cloak. Each story also has some insight from Albus Dumbledore, helping to explain the moral of each, and annotations from Rowling with definitions of certain magical words and historical context. They’re entertaining and fun, reminiscent of Grimm’s fairy tales, except not for muggles. I highly recommend the read, since it’s a rather short book, and it’s definitely a necessity in a Harry Potter book collection. Next Next post: Book Tag Bonanza! I’ve been meaning to buy it! Great review!